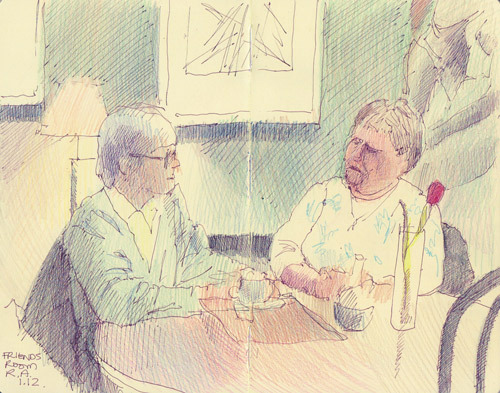 Yesterday I met up with Jackie Simmonds (Jackie Simmonds Artyfacts) at the National Gallery. 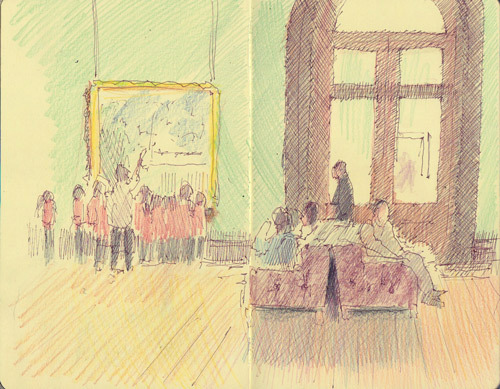 We were going to have a chat about a few things over lunch at the National Dining Rooms so I suggested we meet up in the morning to sketch in the galleries. Just after 10am when the Gallery opens, the rooms are more or less deserted - with a few art fans wandering around. Then the small children arrive! It seems to be a requirement that they must all have a very bright sweater on unless they are incredibly well behaved. 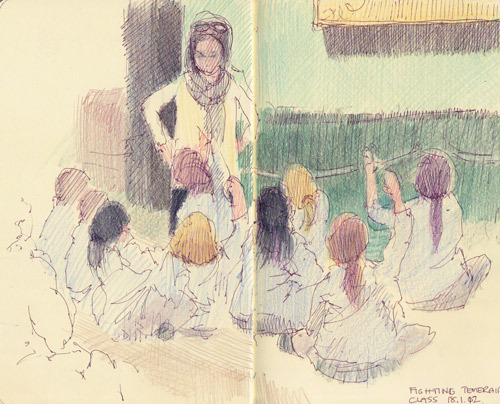 They split into small groups and then learn about a painting and/or draw it. I can highly recommend art galleries for practising quickie sketches of people. Nobody stays still for too long and you haven't got a chance of ever catching a likeness. However it does make you look at what makes a good group composition. 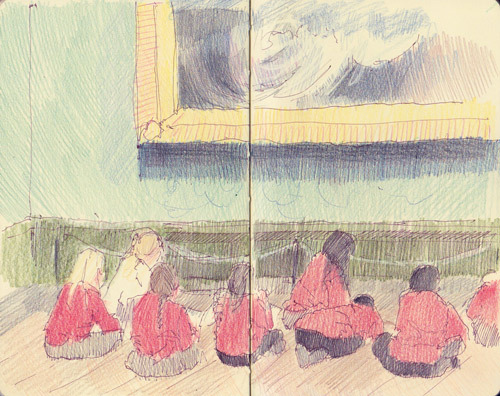 Sketching at the National Gallery: "Manet to Picasso"
A couple of quick sketches from yesterday. After visiting the preview of the new David Hockney exhibition at the Royal Academy of Arts, I grabbed some lunch in a pleasantly empty Friends Room. 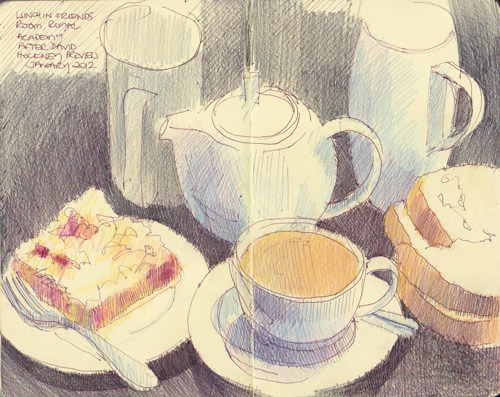 I slightly indulged as I'd had to skip breakfast - so it's smoked salmon sarnies on the right, an apple and blackberry crumble on the left and a pot of Earl Grey tea in the middle. I then sketched a couple of ladies comparing ticketing adventures for various cultural jaunts. I'm waaaaaaaaaaaaaay behind on posting sketches - but hope to get some posted in the next few days.